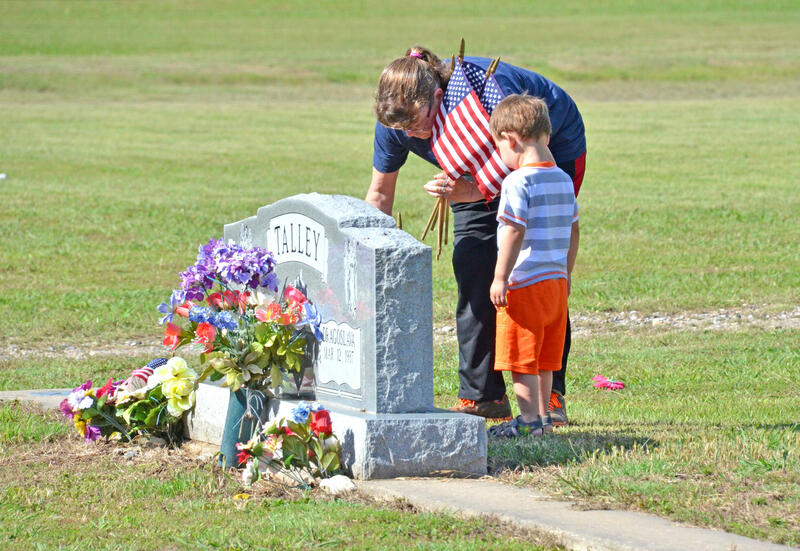 Tammi Springett and her grandson Landon Fouse place a flag on the headstone of LC Talley at Oaklawn Cemetery in Cooper for the Memorial Day holiday. 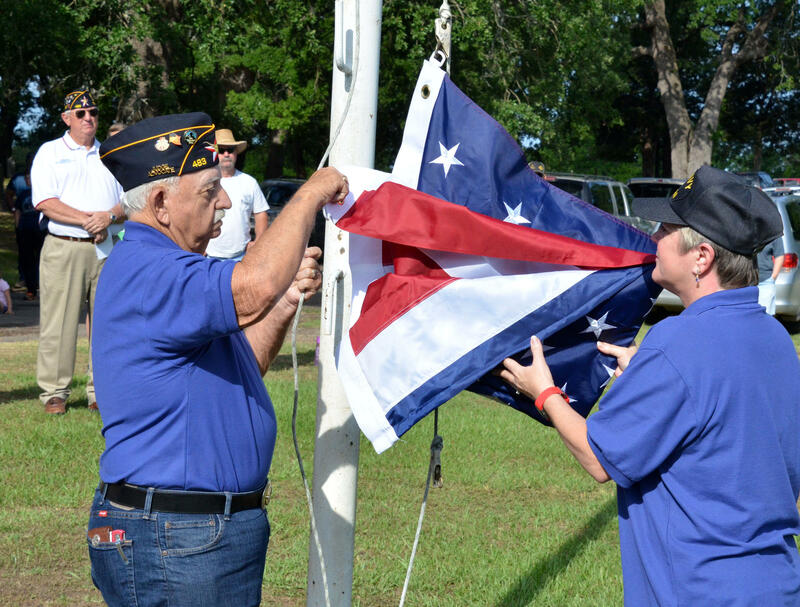 Post 483 EJ Cates and Diane Bosscher raise the flag over Oaklawn Cemetery. The local American Legion salutes the flag in honor of Memorial Day. 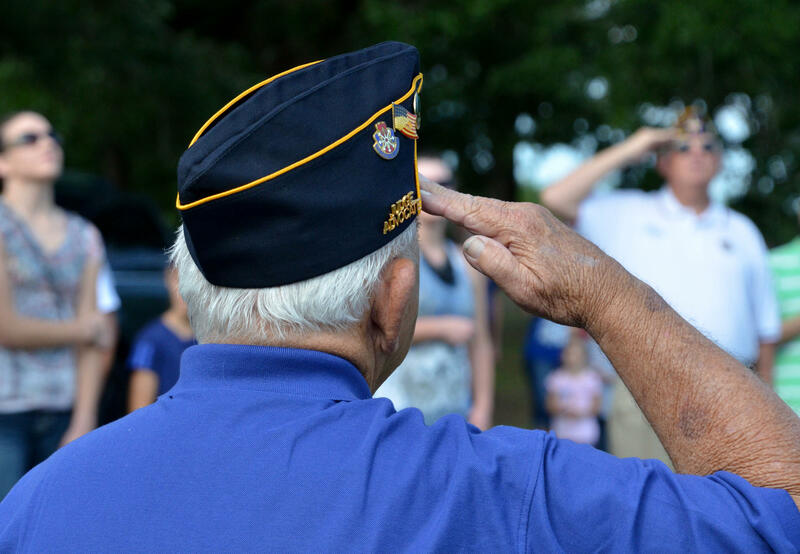 EJ Cates gives his salute at their annual honoring for Memorial Day. 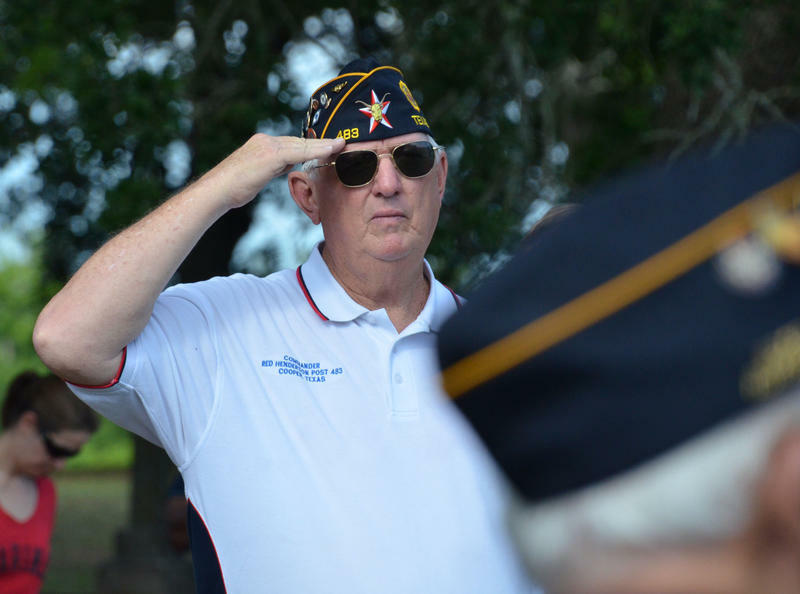 Post 483 Commander Gary Thompson led the services before placing flags on headstones. 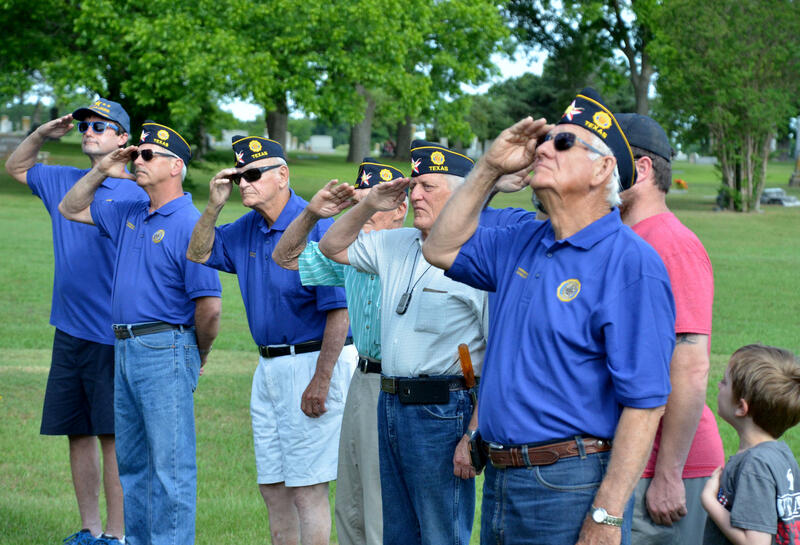 Post 483 members gather to volunteer to honor the military. 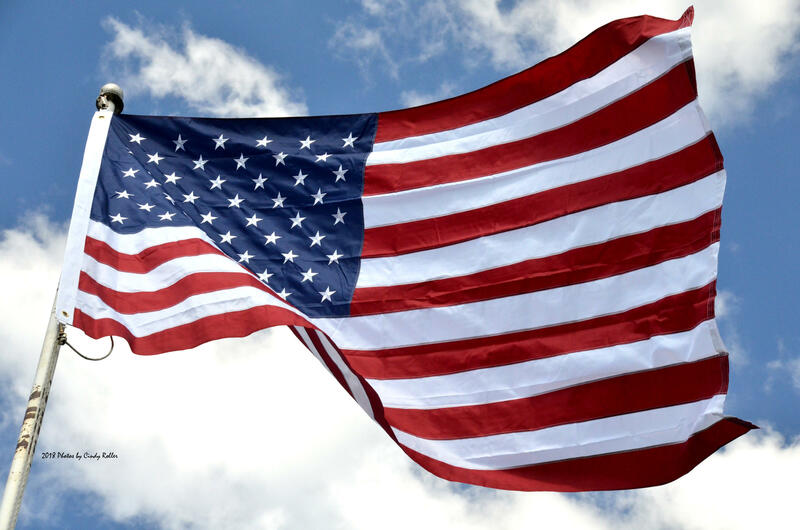 The flag flies over the blue skies of Delta County in honor of Memorial Day. 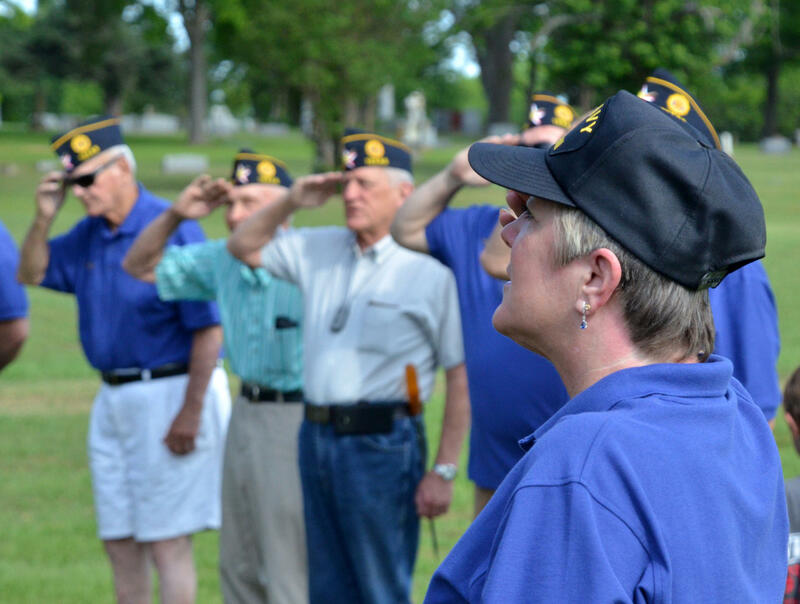 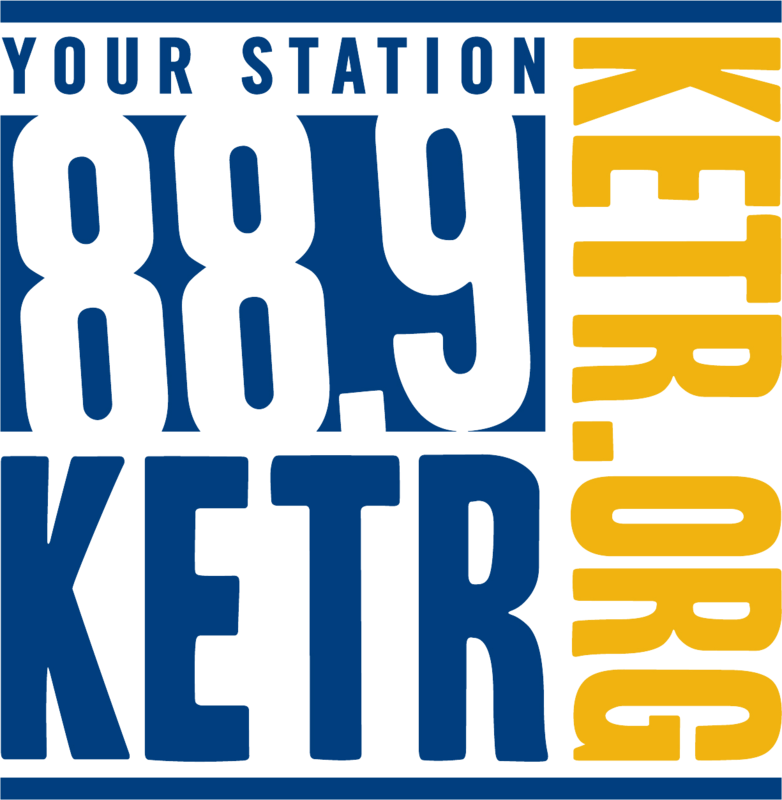 The American Legion Red Henderson Post 483 in Delta County paid tribute in honor of Memorial Day by placing flags on military headstones in the cemeteries starting with Oaklawn in Cooper. The Post along with many of its members, volunteers - elected officials and the Delta County 4-H participants - helped just as they do each year.